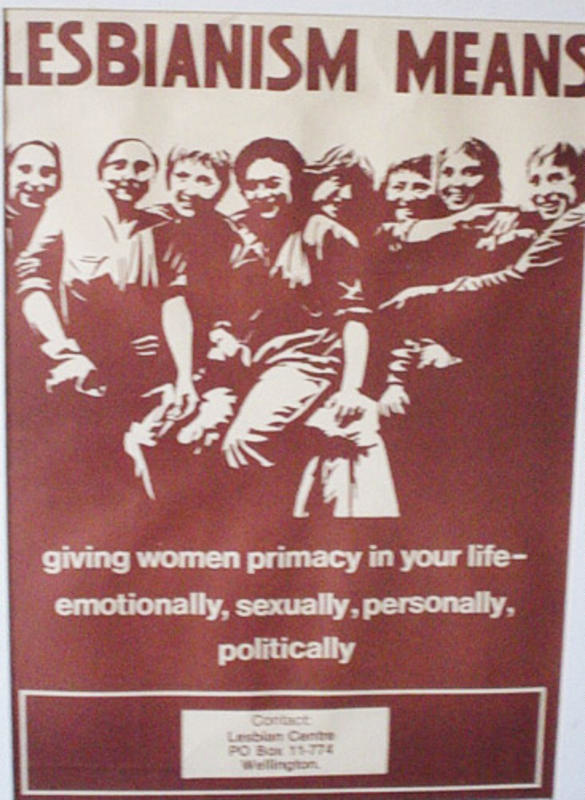 Lesbian Centre Poster saying "Lesbianism means giving women primacy in your life - emotionally, sexually, personally, politically. Poster produced by the Wellington Lesbian Centre. They were refused permission to put this poster on the Wellington buses.